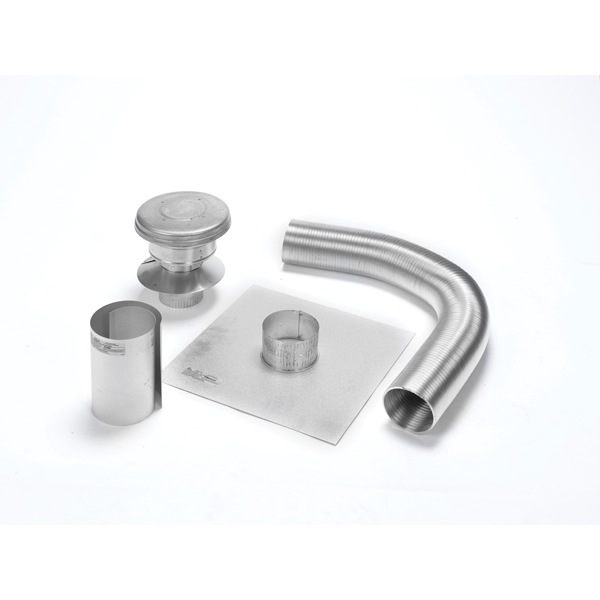 This 25 ft. aluminum gas relining kit by Selkirk is for use with 3 in. chimney liner pipe. Made by Selkirk, the Flexi-Liner relining kits are intended for use with Type B gas fire heating appliances with an AFUE of 83 percent or less. Flex-Liner is made of 2 ply 3003 alloy construction, and their super flexibility makes installation easy. Each kit contains a Flexi-Liner length, a round top, flashing with a 3 in. collar, mortar ground, fasteners, and instructions.